The traditional Chinese lunar calendar divides the year into 24 solar terms. Grain Rain (Chinese: 谷雨), as the last term in spring. Starting on April 20 and ending May 5. 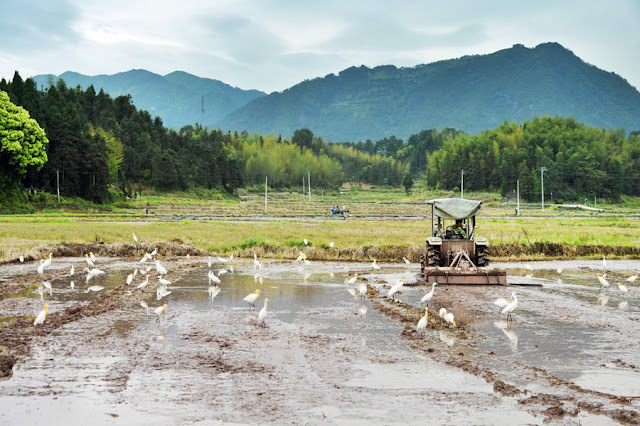 Grain Rain originates from the old saying, "Rain brings up the growth of hundreds of grains," which shows that this period of rainfall is extremely important for the growth of crops. 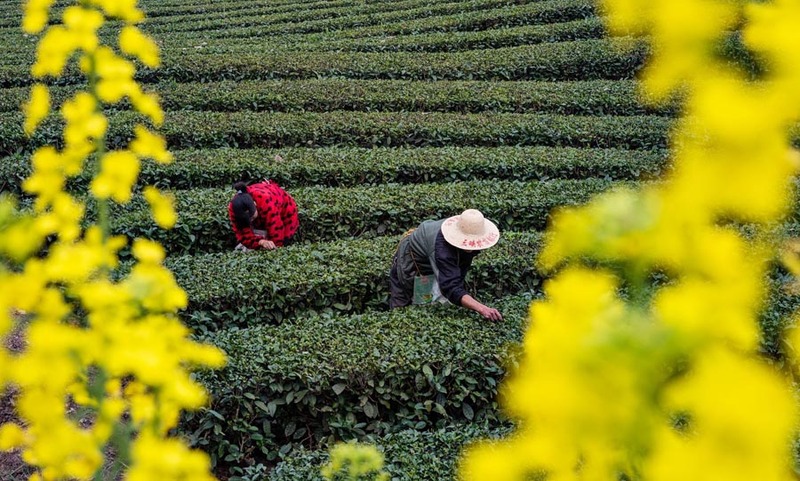 The Grain Rain signals the end of cold weather and a rapid rise in temperature. 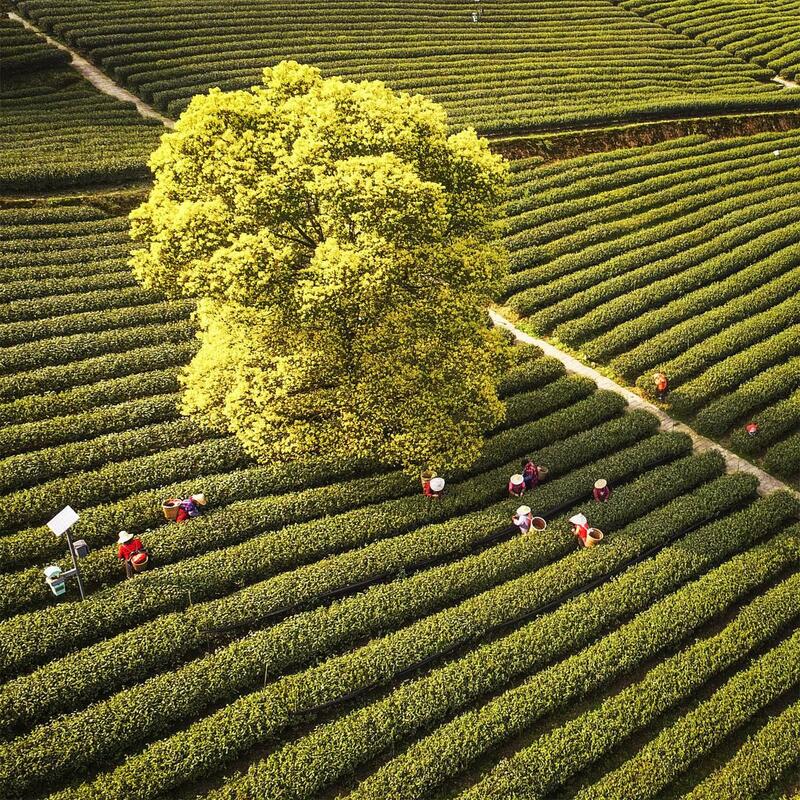 Drinking tea: There is an old custom in southern China that people drink tea on the day of Grain Rain. 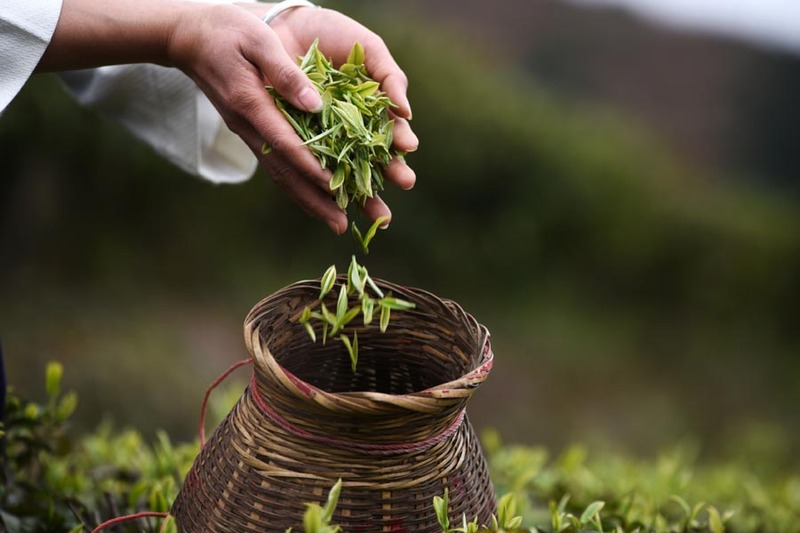 Spring tea during Grain Rain is rich in vitamins and amino acids, which can help to remove heat from the body and is good for the eyes. 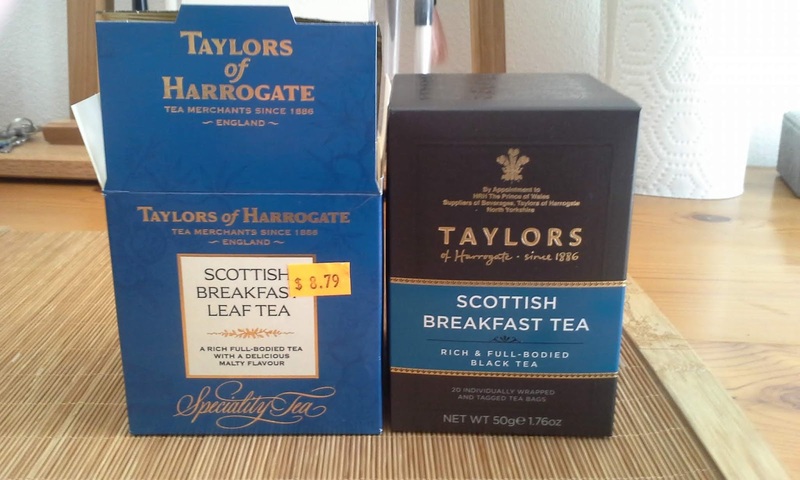 It is also said that drinking tea on this day would prevent bad luck. 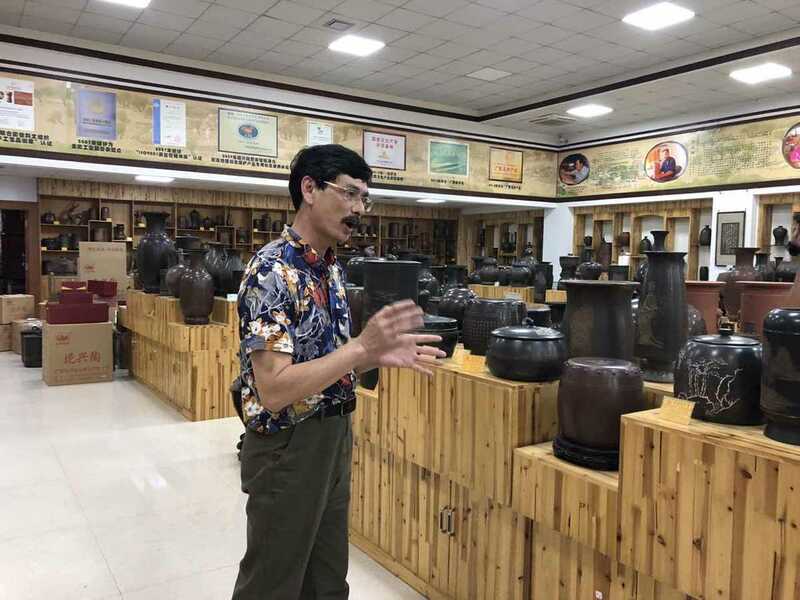 Long Shaorong, vice-general manager with Qinzhou Nixing Pottery Arts Co Ltd, one of the top four potteries in China, which originates from Tang Dynasty. 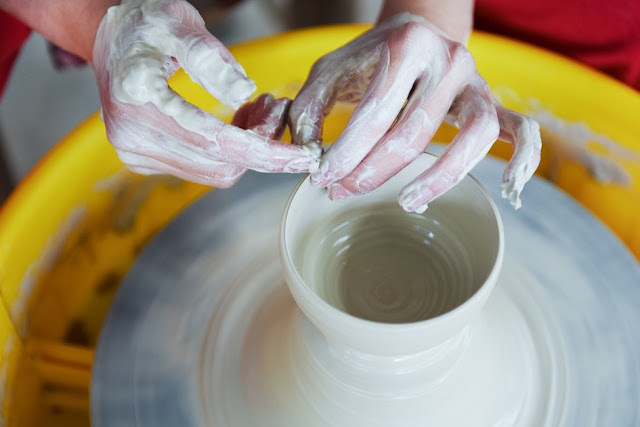 Visitors can look around at pottery workshops and talk with workers to know how Nixing pottery is made, learn the pottery's history at an art museum, make a pottery themselves at DIY experience room, and buy pottery products at a shopping hall. 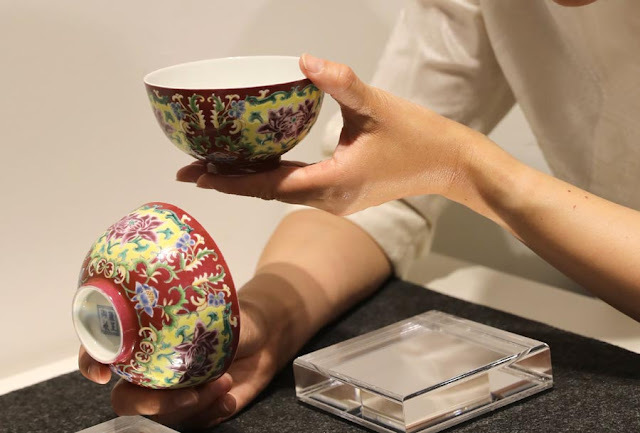 Auction house Christie's shows a pair of Qing Dynasty (1644-1911) porcelain bowls created during the reign of Emperor Yongzheng (1678-1735), at a media preview; April 11, 2019. 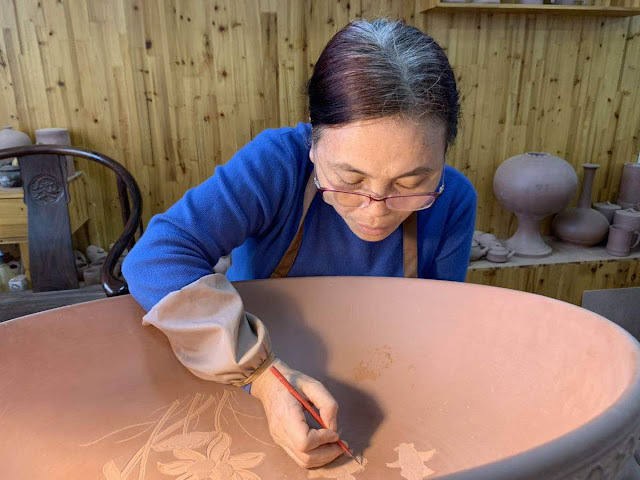 The Christie's Hong Kong Spring Auctions 2019 will be held in Hong Kong from May 24 to 29. 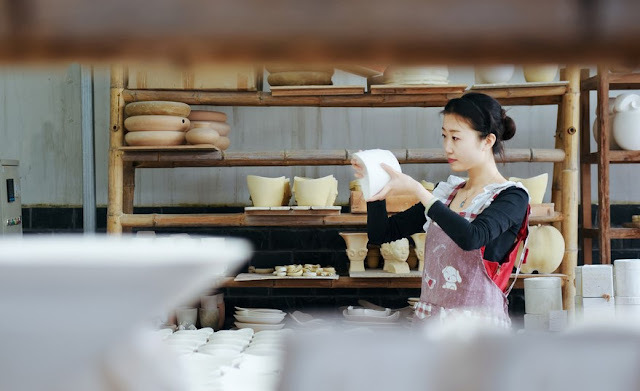 Those to go under the hammer include several treasured porcelain and handcraft works from ancient China, each estimated at more than HK$10 million ($1.2 million). 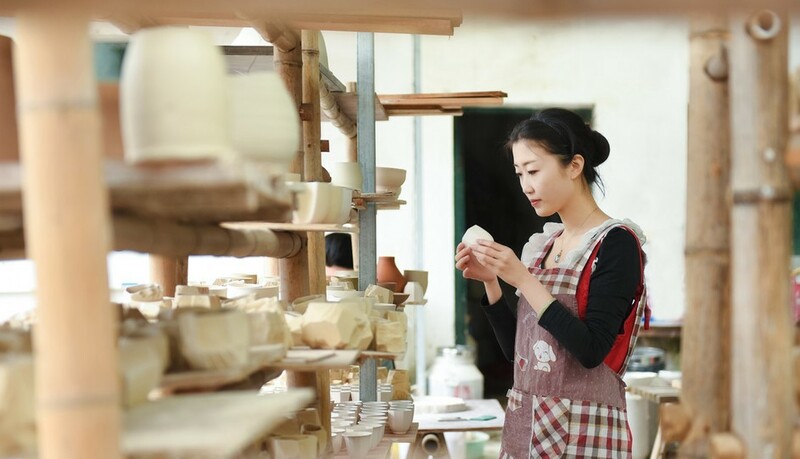 Xu Shan, from Qingdao, East China's Shandong province, is a porcelain crafts-woman. After graduation from the Jingdezhen Ceramic Institute, China's only college with a focus on porcelain and ceramics, Xu chose to stay in the city and opened a porcelain workshop. 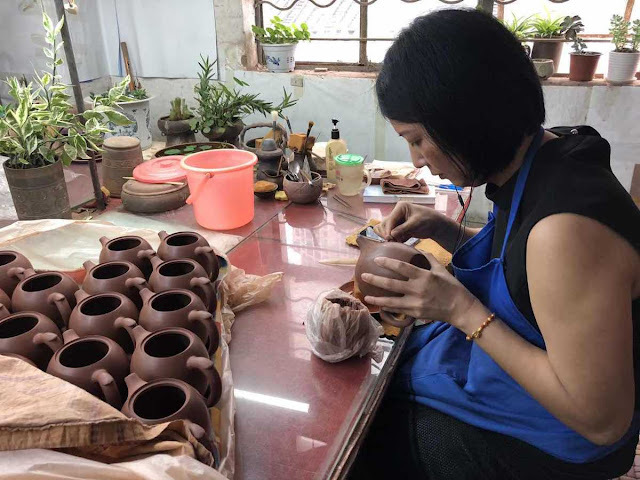 Xu's designs have won her awards in many competitions and gained popularity among customers. 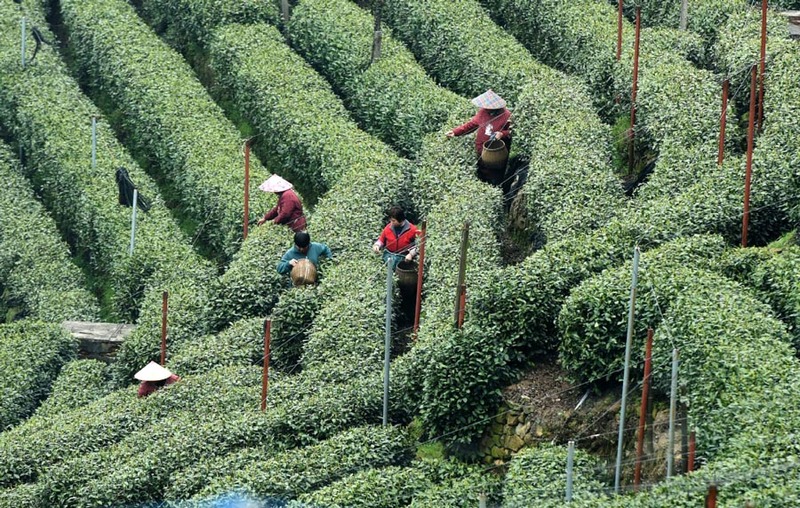 Farmers pick spring tea at Dingxin Tea Garden in the Baixiang Mountain, or White Elephant Mountain, in Ba'nan district, Chongqing. The mountain has more than 8000 mu (533 hectares) of tea plantations. 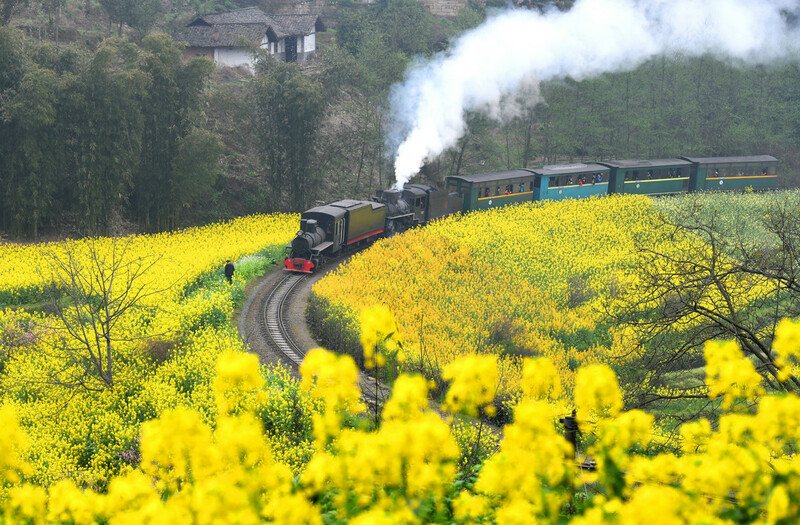 An old steam train travels through rapeseed fields in Jianwei, Sichuan province. 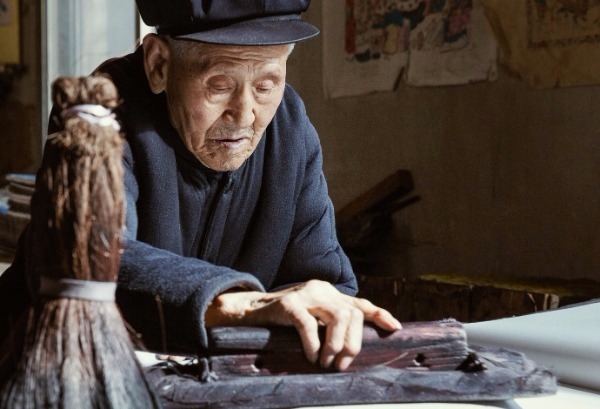 Yang Luoshu, a 19th-generation member of an artisan family, makes New Year woodblock prints in Shandong province. 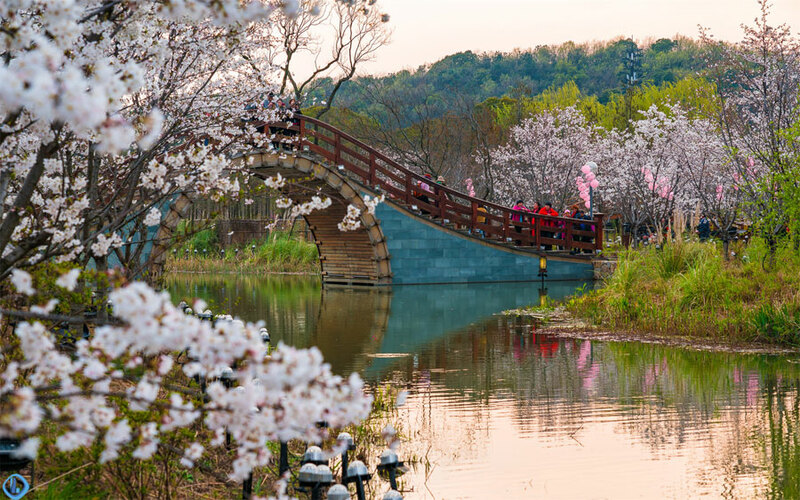 Nianhuawan, in Lingshan Mountain of Wuxi, East China's Jiangsu province. 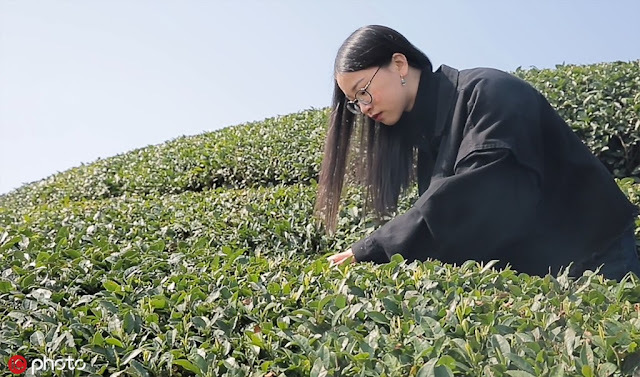 A member of the post-1990 generation has found fortune in tea mixing in Ningbo, East China's Zhejiang province. Wu Wei, a young woman from Quzhou who is fascinated by tea, decided to give up her stable job and open a Taobao tea shop online in 2016. 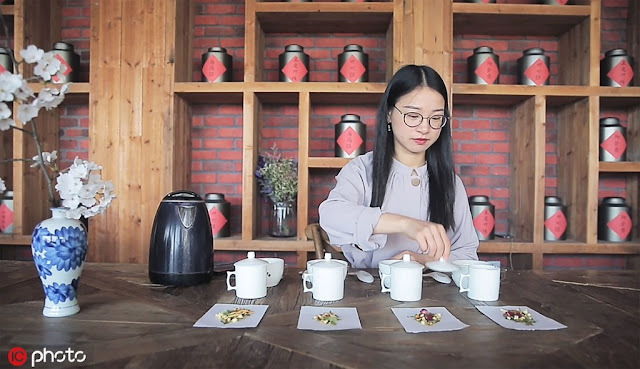 She mixes various kinds of tea together or with fruits in different proportion to make tea with a variety of tastes and functions. Wu studies each kind of tea and information from the international flower and fruit tea industry each day. To promote a new product, Wu will test hundreds of recipes. 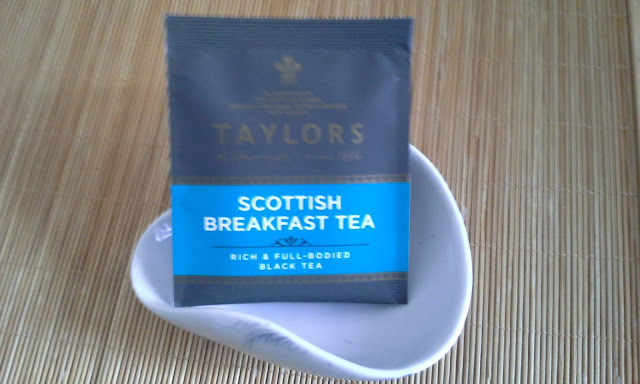 She once tasted 50 cups of tea to ensure the quality of one batch. 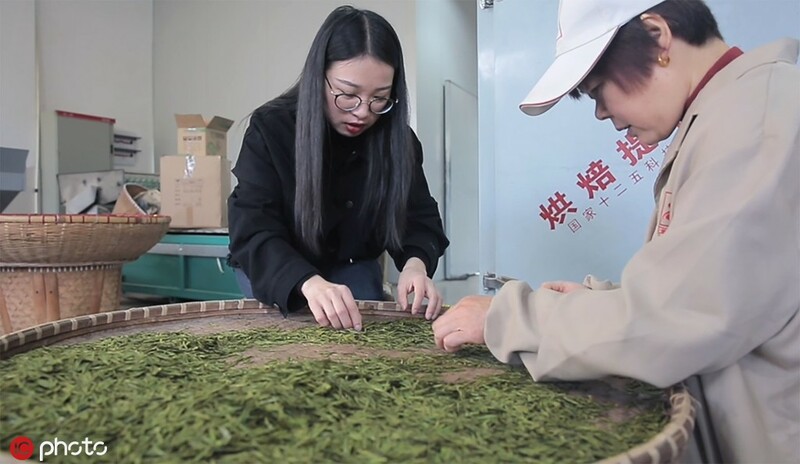 Sales from her teashop on Taobao reached 8 million yuan ($1.19 million) in 2018, up from 3 million yuan in 2017, and 2019 is expected to reach 10 million. 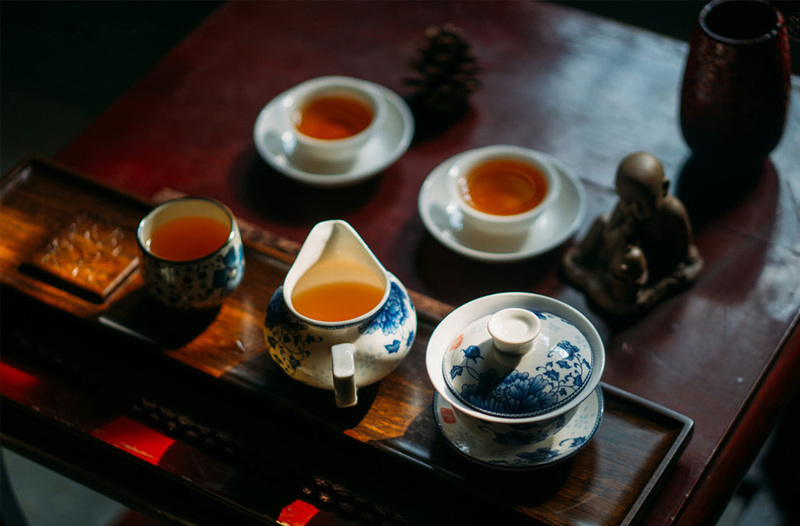 Wu Wei mixes tea with different proportions of tea, flowers and fruit. The government decided April 1 that the new era name when Crown Prince Naruhito accedes to the Imperial Throne one month from now will be Reiwa. 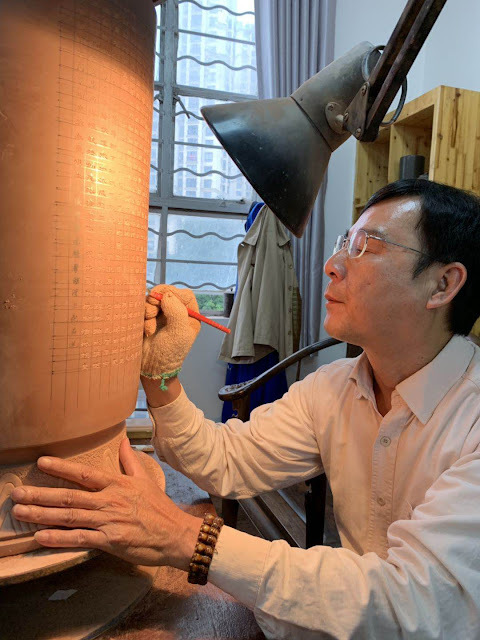 The new era name, comprised of two Chinese characters derived from Man'yoshu, the oldest anthology of Japanese poetry dating back to the eighth century. Sugoroku ("double sixes" or "pair of sixes": 双六 also 雙六) is a game played with a single die and counters, somewhat like backgammon (in Chinese, t'shu-p'u), in which the winner is the first player to reach the goal (agari) from the starting point (furidashi). 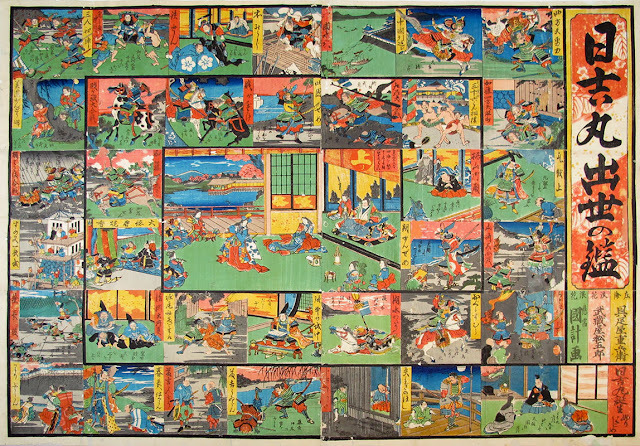 Woodblock-printed sugoroku were a type of omocha-e (toy pictures: 玩具絵). 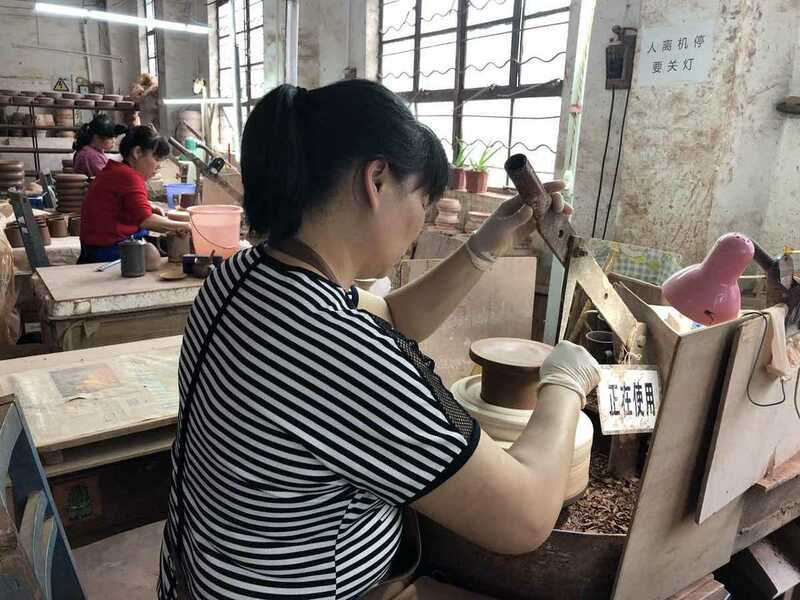 Players would start at the lower right as they moved their pieces toward the center. For more on this topic, see Peter Ujlaki's article Sugoroku: Ribald Fun on a Gameboard. Toyotomi Hideyoshi (豊臣秀吉 1537-98), born of an undistinguished lineage as the son of a peasant foot sholdier named Yaemon, became a renowned warrior-general and politician. 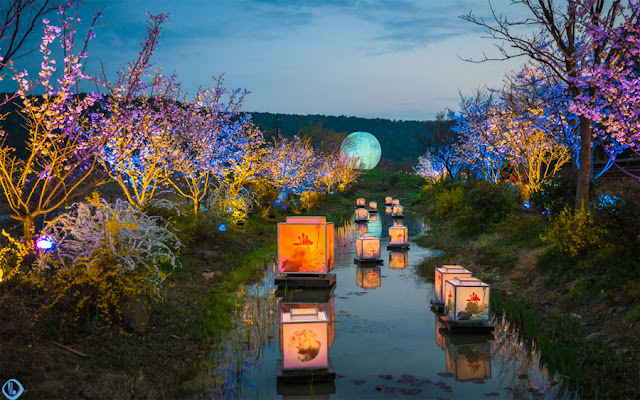 Hideyoshi is considered Japan's second great unifier in a series of three warlords — Oda Nobunaga (織田信長 1534-82), Toyotomi Hideyoshi, and Tokugawa Ieyasu (the first shogun, 徳川家康1543-1616) — who gradually unified Japan after nearly 140 years of civil war (c. 1467 – c. 1603; called the "Age of civil war," Sengoku jidai: 戦国時代). Note: Kunikazu (國計), the artist who designed this sugoroku hexaptych, is different from the more familiar Isshusai Kunikazu (一珠齋國員) — also see available Kunikazu 國員 prints. Nothing is known about his biography, except to say that his active period was circa 1856-58. The title of this game board is Hiyoshimaru shusse no kagami (A mirror of Hiyoshimaru's lifetime triumphs: 日吉丸出世の鑑), using Hideyoshi's childhood name, Hiyoshimaru (日吉丸), meaning "Bounty of the Sun." 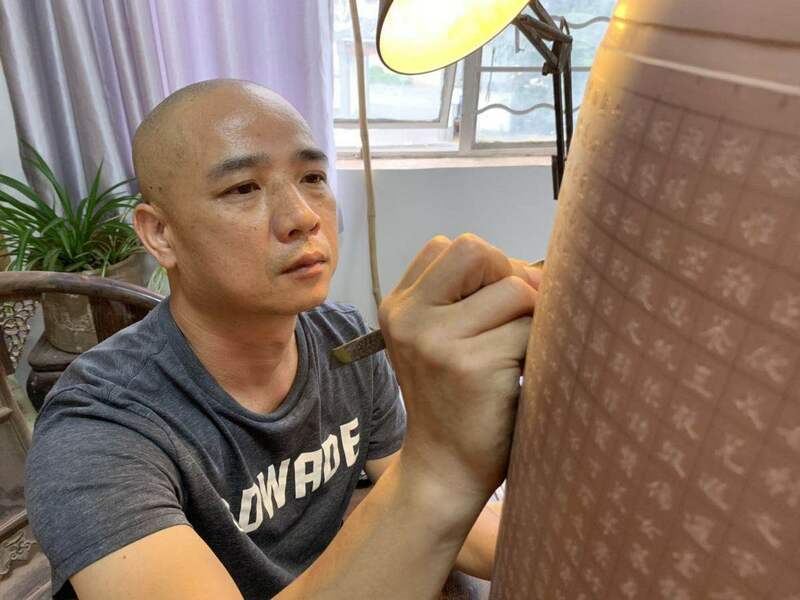 The game follows a "rags to riches" success story wherein a boy from humble beginnings reaches the pinnacle of military power. Kunikazu's design provides a rare instance in which the sponsor of the print is identified — the armorer (gusoku-shi: 具促進) Gusokaya Jûbei (具促屋重兵衛) from Sakai city (indicated with variant kanji). In effect, this design illuminates one avenue by which prints got produced, at least in Kansai. 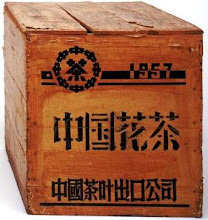 What seems to have happened in this case is that Jûbei, a maker of armor, felt it would be good for business, and perhaps a sure-fire investment, to underwrite an "educational" game board covering the heroic moments in the life of the historical warlord Hideyoshi, the great unifier of Japan who is particularly revered in the Osaka area. 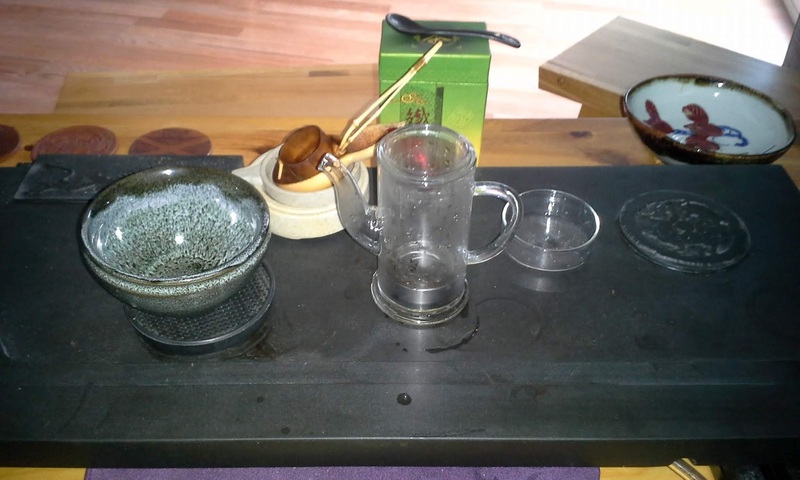 Sakai, just south of Osaka, was a wealthy port town famously producing early tea-ceremony greats like Sen no Rikyû (千利休 1522–1591), the most profound influence on chanoyu (The way of tea: 茶の湯) and particularly wabi-suki (侘数寄), called since the Edo period wabi-cha (わび茶; 侘茶; 侘び茶). Hideyoshi was a hugely important patron of Sen no Rikyû and tea. 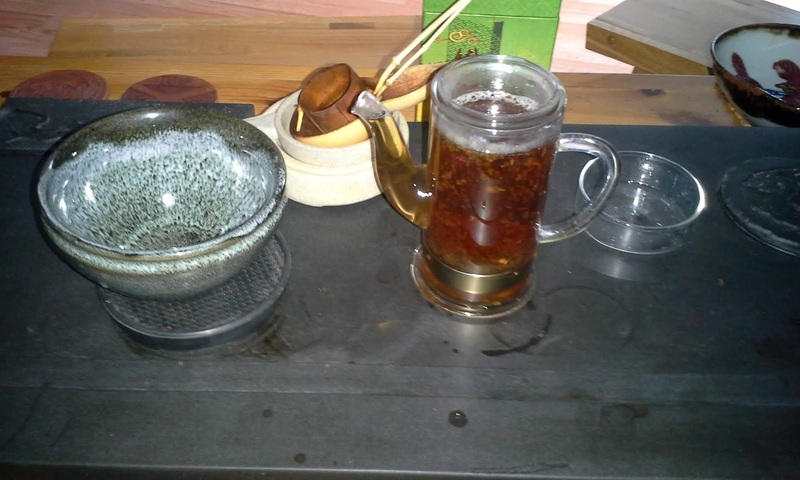 Surviving sugoroku kamigata-e are rare, especially when in good condition and with excellent color, as in our example. 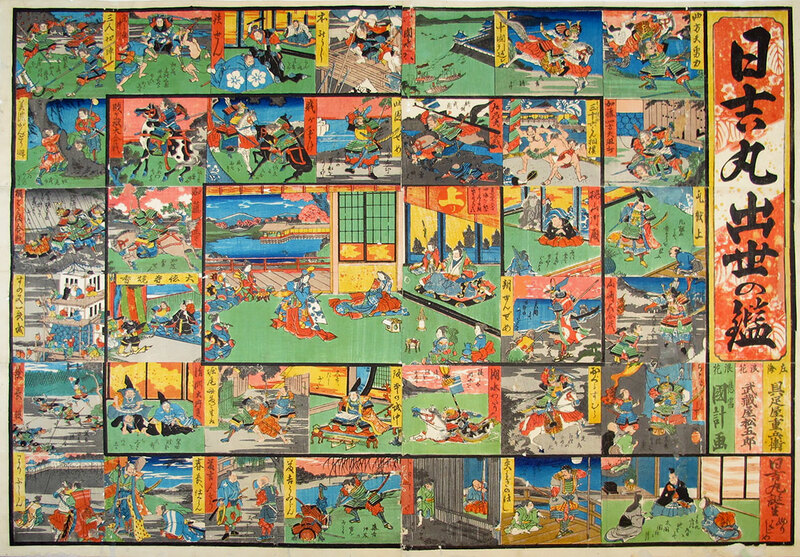 Moreover, given the additional information regarding the circumstances of production, this sugoroku hexaptych is a truly noteworthy treasure. Main cast of characters: Left to Right. 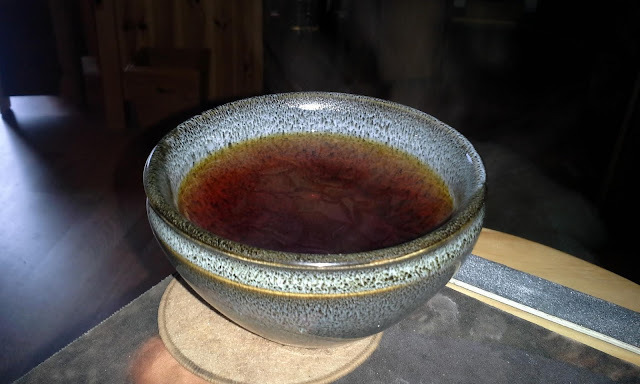 Saturday morning, after a few bowls of aged Pu-Erh it's now time to brew some "Red Tea" / "Black Tea". 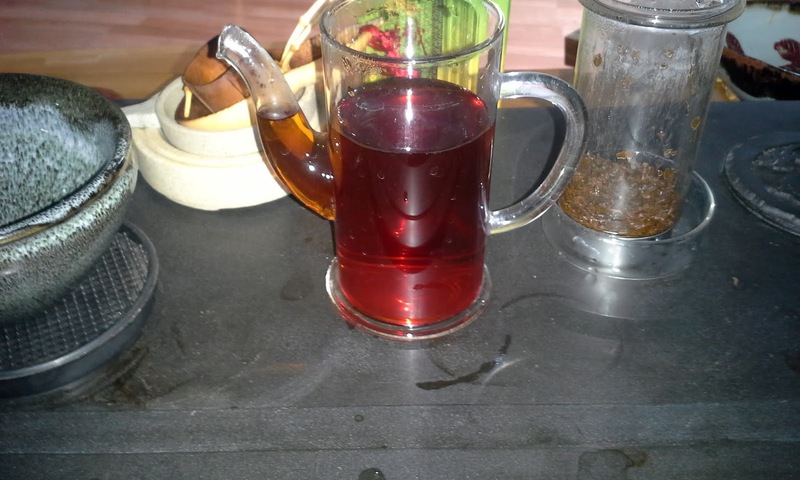 In China we say Red Tea in ref. 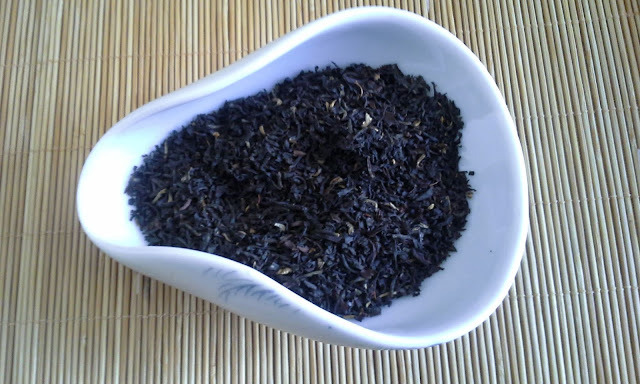 to colour of the soup .. in the west; we refer to the raw tea colour (Black). A favourite biscuit of yesteryear ... 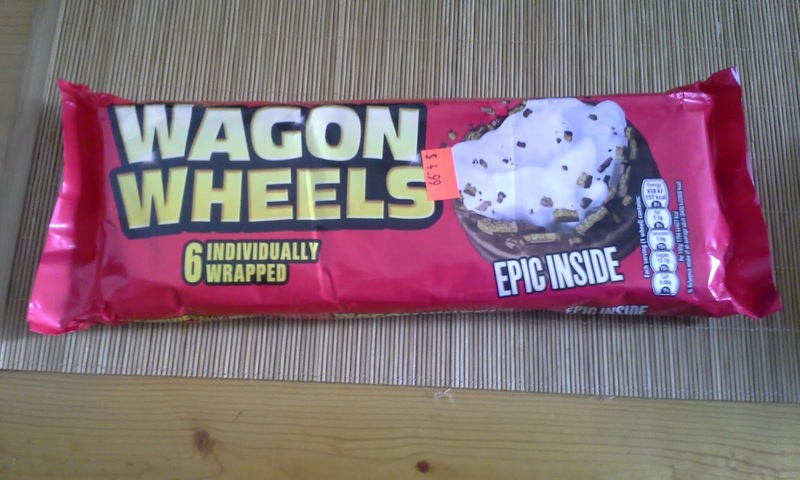 I can remember when they were first intoduced !!!! As temperatures rise, farmers across China have started the season's tea harvest. 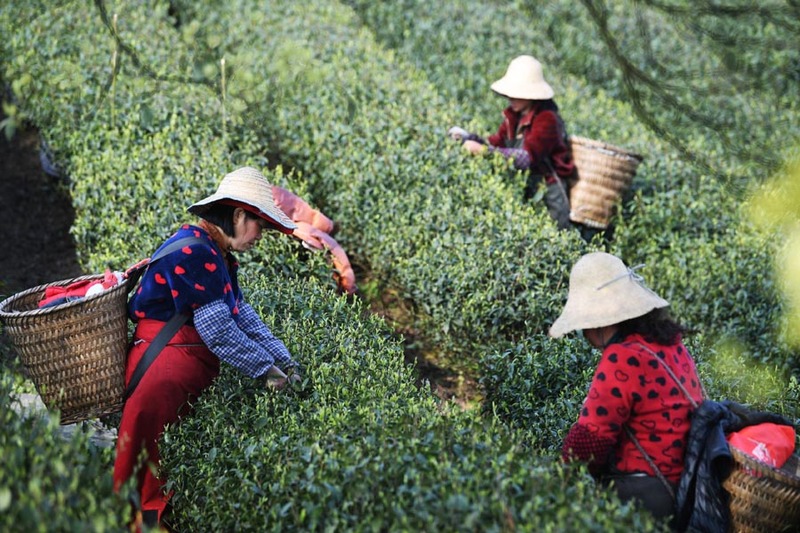 Workers pick tea leaves in Liping County in Southwest China's Guizhou province. 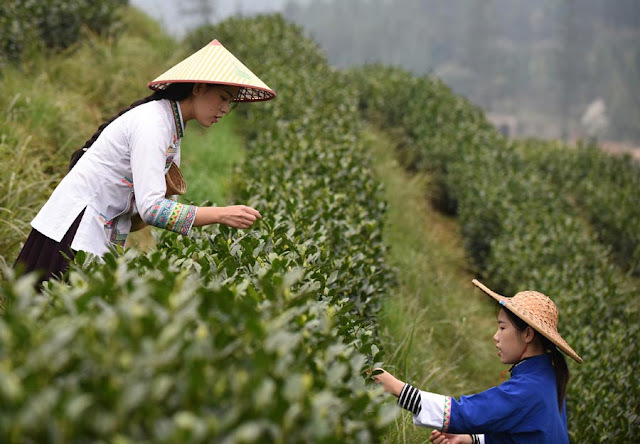 Collecting tea leaves on a farm in Yangjia village in Danzhai County, Southwest China's Guizhou province. East China's Hangzhou, Zhejiang province. 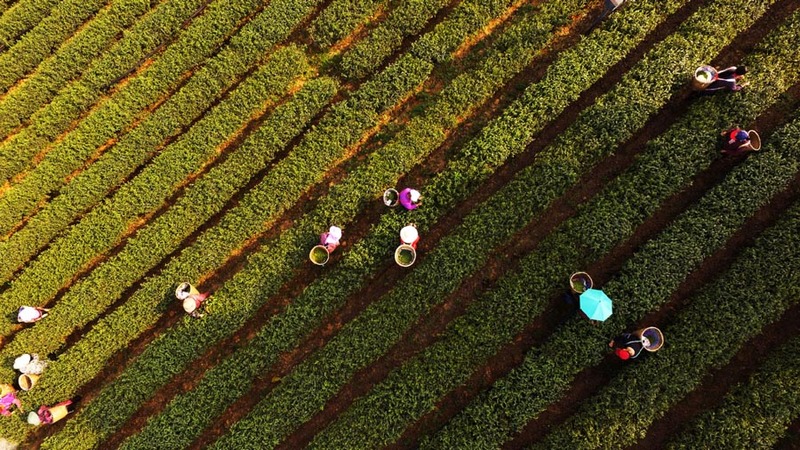 Xujiachong village in Yichang city, Central China's Hubei province.